Walking is one of the most common forms of exercises done by all age groups, youngsters to the eldest person. The study states that it is really harmful to go for a walk in your everyday slippers or out of shape footwear, any kind of injury caused can hinder your daily routine of exercise or derail your fitness regime. Be it any kind of work out, it is really important that you wear perfect shoes. Investing in a quality shoe like Skechers GoWalk Revolution can help you to prevent foot and ankle damage, and make walking a more pleasant and comfortable experience. Hence, don’t compromise on the quality of your shoes. Below are the solutions to make your walking fun, and why it is important to go back to basics. Whenever your foot makes a movement, it impacts to the best part of the body as well. If you are in wearing the appropriate walking shoe like Skechers GoWalk Revolution, proper support would be provided to the arches and heels which will allow the proper blood circulation and range of motion in the feet. When the basic criteria are not met, your body starts to overcompensate which eventually leads to pain in the heels, ankles, knees, hips and lower back. So, it is really important that you choose the appropriate shoes to exercise and Skechers GoWalk Revolution will provide you with every comfort. Walking helps in proper blood circulation. It also reduces the risk of strokes. Walking helps the body to supply the proper amount of oxygen and glucose which helps in better functioning of the brain. It makes the mind fresh and ‘ready for anything’ kind of attitude. But all this can be achieved only if you are wearing the right kind of shoes. Walking in discomfort will hinder all the benefits aforementioned. Try Skechers GoWalk Revolution. It will not disappoint you. Wearing out of shape or inappropriate shoes will not allow you to be in the perfect posture to walk and therefore not giving the basic advantage of the exercise that you are performing. These shoes will help align your feet, ankles, knees, hips, and back, which helps reduce any pain you may have. And therefore, you can comfortably walk without any stress. Do not want to claim the above point. "Research shows that regular walking actually modifies your nervous system so much that you'll experience a decrease in anger and hostility," she says. What's more, when you make your walks social—you stride with, say, your partner, a neighbor, or a good friend—that interaction helps you feel connected, says Jampolis, which boosts mood- something on these lines? Wearing the wrong shoes for walking can cause you a lot of problems. And wearing right shoes will give you all possible benefits to your body without any obstacle to your daily fitness walking routine. 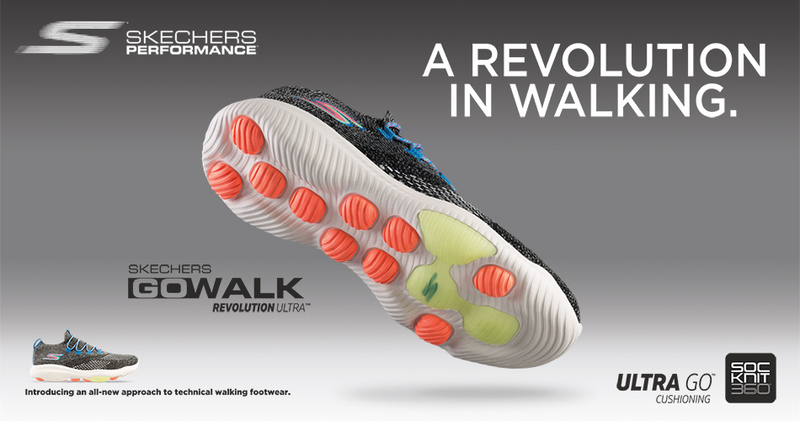 Skechers GoWalk Revolution is the Health Solution. It will not disappoint. Try!